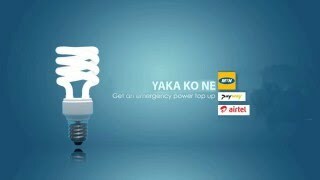 YAKAKO “THE HOPE THAT LIGHTS THE DARKEST MOMENT"
YakaKo is a PowerCredit payment option for Yaka clients. This option enables prepaid power clients who need to purchase units but for whatever reasons, cannot do so. YakaKo therefore enables them to purchase these units on credit but with a 10-15% service fee and 1% commission off every transaction. The business model is to leverage of Mobile Network Operators’ (MNOs) Mobile Money Platforms to offer the service.